Alison Clarke, CEO of Grayling UK & Ireland, has stepped down, saying she "doesn't have a master plan" about her next career move but would stay in PR. The new leadership of Grayling UK sees internal promotions of global engagement leader Sarah Scholefield to managing director for the UK; Sam Williams, finance director to chief operating officer, and Richard Jukes, managing director of the public affairs division, to chairman of UK & Ireland. The move follows the appointment of Paul Taffe as Huntsworth Group CEO in April. Clarke told PRWeek: "My plan is to have a summer break and really think about it. It's time that I moved on. We've done a lot of work around Grayling in the UK, and it's right that some new people take that forward." In an announcement to staff this morning, she said: "I’ve enjoyed four great years at Grayling winning and working on some of the finest client names in the business. The agency is evolving, we have some exciting changes ahead and I believe it is the right time to hand over to new leadership to drive this. I’m delighted that the team has taken up the mantle to do so." 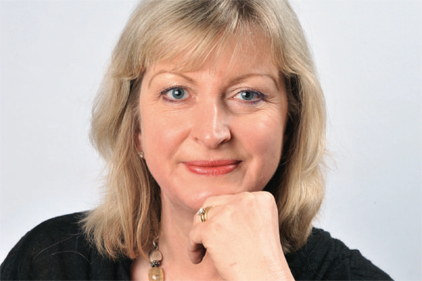 Before her role at Grayling, Clarke was business development director at parent company Huntsworth. Paul Taaffe, Huntsworth Group CEO, said: "I am truly sorry to lose Alison from the business after such a long and distinguished career within the group. It is to her credit that such a fine line-up of senior talent is ready to take over and move the consultancy forward." Scholefield added: "This is an exciting time for the business and we are delighted to be taking on our new roles and the leadership of Grayling. On the back of some significant new business wins to be announced shortly, we are well positioned to deliver an outstanding future for the agency."